Continuing to push boundaries of optical excellence is the award winning and well renowned FZ series of cameras – the DMC-FZ72. This Lumix bridge camera comes equipped with an outstanding focal range with a 20mm ultra wide-angle lens and the industry’s highest 60x optical zoom*. Also included is Panasonic’s latest generation of Optical Image Stabilisation for both photo and video mode. A high resolution Electronic Viewfinder, Full manual control, Stereo wind-supressed microphone and Full HD video mode go together to make this camera a superb all-rounder for the beginner or enthusiast alike. At its time of launch the FZ72 offered the longest zoom range of all digital compact cameras. A massive 60x zoom lens covers all focal lengths from 20mm to 1200mm, in 35mm equivalent terms. This means you get three times more shooting area when shooting wide angle than a 35mm camera and it brings objects twice as close as our previous best bridge camera (600mm, FZ62). 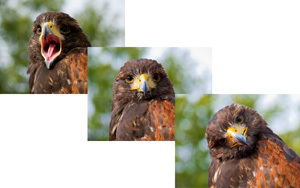 Panasonic’s 16 megapixel MOS sensor offers a 10-15% reduction in the block noise that becomes evident when shooting at high ISO settings (compared with previous model FZ62). In combination with a Venus Engine noise reduction system, it delivers more pleasing low-light shots whilst still supporting Full HD video recording, high-speed burst shooting and a 3D mode. Power O.I.S. is about twice as effective as our conventional Image Stabilisation system at reducing low-frequency vibration-caused blur. It is especially useful when using slow shutter effects or shooting night scenes and is now optimised for the high zoom of the FZ72. With the option of Active mode available during movie recording, videoing from a moving vehicle or while walking is also more precise. Fast focus is a must when you don’t want to miss the moment of a lifetime. None come faster in a compact camera than the lightning fast 0.1 seconds of Lumix. 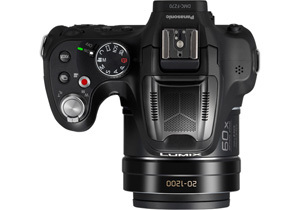 Borrowed from the technology used in our Lumix G system camera, the incredibly fast focus speed is due to the double speed readout from the sensor when the shutter button is half pressed. For the ultimate control over picture quality RAW shooting mode is provided just like a professional camera. Shooting in Raw requires large capacity memory cards as each photo image can be up to 8x larger in file size than when shooting in JPEG. 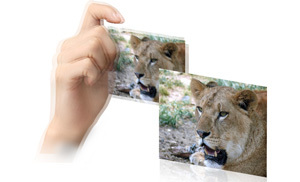 A Raw file contains the full uncompressed data that is captured by the image sensor. Not only does the FZ72 offer a huge 60x zoom lens but also includes a clever combination of optical and digital technology to get you even closer to your subject. The powerful image processing of the Venus engine means that a high quality image can be created from the telephoto lens that is equivalent to an incredible 120x zoom image (twice the optical zoom limit). High-speed burst shooting, up to 9 frames per second at full resolution (max 3 images), is possible. Even 5 frames per second with AF Tracking is available enabling you to capture high speed action with a sequence of still pictures that are sharp and defined. A high resolution (460,000 dots) Liquid Crystal Display is offered with a 3.0 inch viewing area that works well in bright light due to the Auto Brightness sensor that automatically increases brightness by up to 40% when in sunny conditions. A full colour, electronic viewfinder is built-in for monitoring the image from the sensor. Offering 100% field-of-view, it enables accurate composition of your photos with the camera held close to the face in the traditional camera shooting style. iA mode helps you take the picture without you having to worry about what settings to use. The camera intelligently works out the type of scene that you are trying to capture from a number of pre-set programmes. iA+ allows you to add an element of your own creative control where you can experiment with the overall look of the shot before you take the picture. Manual setting of focus, aperture or shutter speed are normally reserved for Digital SLR style cameras, so having such creative control on a compact camera is a real advantage and a valuable asset. The manual control dial and focus button are conveniently placed on the top of the camera providing control over photo or video recording. Any one of 15 creative filter effects can be selected before taking your shot. These effects: Expressive, Retro, High Key, Sepia, High Dynamic, Miniature effect, Toy Effect, Low Key, Star Filter, One-point Colour, Dynamic Monochrome, Soft Focus, Impressive Art, Cross Process and Old Days gives you the expressive power to turn ordinary situations into highly special scenes. Some of the creative filter effects that are available before taking your picture are also available to add to your shot after you have captured it. You can decide whether effects like Sepia, High Key or Dynamic Monochrome add an interesting new look to your shot, and apply the effect to the original picture after you have reviewed it. In addition to the Panorama shooting mode that allows you to capture ultra-wide vistas in a single image, up to 13 filter effects can be applied making your panoramic image even more interesting. When shooting video for playback on a Full HD TV, AVCHD 1080 offers amazing high quality recording. Video captured on the camera’s SD card can be played back directly on a Panasonic Viera Full HD TV by putting the card in the SD slot on the TV. Also offered in video mode is MP4 (H.264) format recording. High Definition video including 1920×1080 can be shot at 25 Progressive frames per second. MP4 format is compatible with many video editing software packages, but is also compatible with iTunes for playback on smartphone or tablet devices. 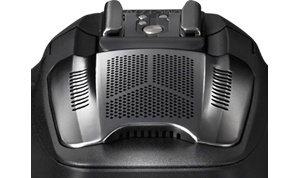 The FZ72 incorporates a newly developed stereo microphone with windshield structure that powerfully blocks most of the noise from background wind. The high-sensitivity mic also improves the S/N ratio resulting in a more accurate sound reproduction. In addition to the built-in pop-up flash, a hot shoe is provided for the use of an optional, more powerful external flash.